ZZMusic was established in the 1990s by its founding director Romano Viazzani who is a professional musician and composer www.romanoviazzani.com . It initially focussed on composing and arranging music for TV and other areas of the music world. In 2000 it organised a large Accordion festival at Wembley Conference Centre that brought together accordionists and musicians from all over the world over two days of concerts workshops, trade fairs. 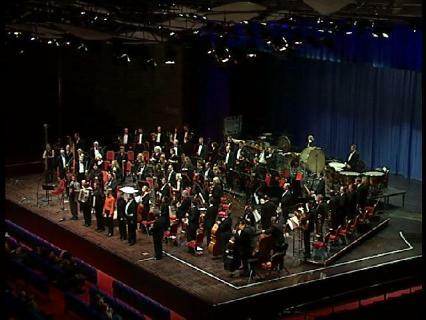 During this event four new and two already established works for Accordion and Orchestra were performed with the BBC Concert Orchestra and broadcast on BBC Radio 3. In the years that have past since the festival the accordion has made some huge strides across all music but especially in the Classical music world. We believe that we had a small but important part in making this happen in the UK. ZZMusic now provides a range of products and services for the accordion world. The company retails recordings, published music, other publications and is the official UK distributor of Beltrami accordions. It also provides a repair and tuning service for accordions,accordion-rental and tuition. ZZMusic is proud to stay abreast of accordion developments around the world and publishes articles both on accordion history and upcoming accordion-related events. We are committed to the ongoing development and promotion of the accordion as an instrument across all genres of music and we aim to bring more and more new music, publications and recordings to retail on our site and in doing so, promote artists and composers alike. The demand for accordion in ensembles of all sizes and for accordion tuition is currently very high. We have seen in 2013, a number one classical chart-topping accordionist and a newly formed accordion teaching association (UKAAT) to raise the standard of accordion teaching and performance nationally. The future of the accordion is looking bright and ZZMusic wants to play its part in that future.